Product activation reduces a form of software piracy that is known as "casual copying". Casual copying is the sharing and installation of software that is not in accordance with the software's end-use license agreement (EULA). Activation is anonymous, and no personal information is required to activate. The installation ID records an association of the product ID to your computer and a confirmation is sent back to Microsoft. You can then use the product key to install Windows on that computer an unlimited number of times. However, if you want to install Windows on a different computer with that product key, you may have to contact a Microsoft customer service representative. 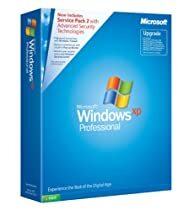 Activation is required in 30 days from the first day that you start Windows XP. During activation, you can also register your copy of Windows.